Being an animal lover means that every life matters. That includes the furry family you have at home and every stray dog you find by chance. Whether they’re staggering along the side of a road, emaciated and afraid, or rummaging through the trash cans behind your favorite place to grab lunch, it’s your instinct to help. Helping, however, isn’t always a simple concept. 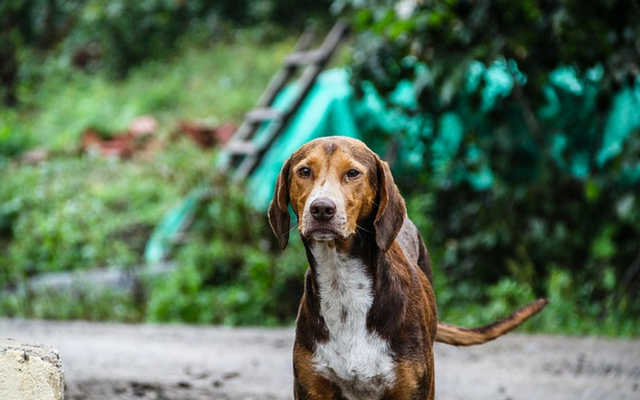 Stray dogs can act unpredictably, and they don’t always recognize a helping hand. These guidelines will help make sure your rescue attempt is as successful as possible. Before you charge into action, take a moment to look around and assess the situation. 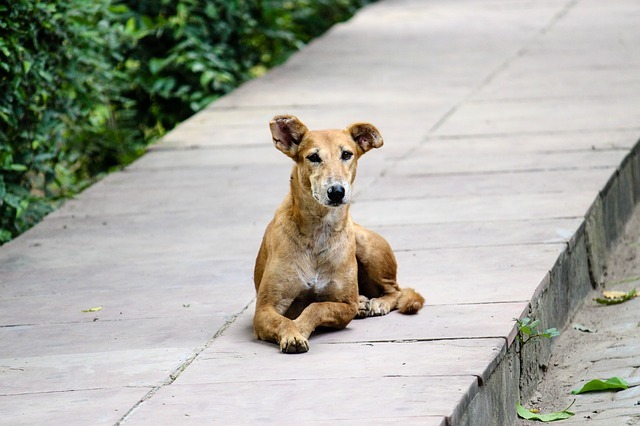 First, try to determine if the dog is injured or ill. You should also check their neck to see if you’re lucky enough to find a dog with a collar and ID tags. Most strays won’t have them, but your job is a lot easier when they do. After assessing the dog, stand at a safe distance and scan the nearby area. Look for potential hazards like a road with fast-moving traffic. You’ll want to be extra cautious not to scare the dog into running in that direction. There’s also the chance their owner is nearby chasing them down. Listen for a few seconds in case they’re calling the dog’s name. If the dog doesn’t seem to mind you hanging around, you should still call animal control, but you can attempt to secure them yourself and keep them from running off. In an ideal world, you would have a prepacked rescue kit in your car complete with leash, collar, and smelly treats. If that’s not the case, you can work with what you have available. Any kind of rope, strip of cloth, or perhaps even a belt can be used as a makeshift leash to guide the dog toward your car or a safer position. If the dog seems willing to cooperate, you might be able to get them into your car without need for a leash. If you happen to have driving snacks tucked in your purse or an energy bar in the glove box, that might help too (just make sure it’s free of ingredients that could be toxic to dogs, like caffeine, macadamia nuts, or chocolate). The pup will also appreciate any water you can offer. Most strays are understandably nervous, and you’ll need to speak to them in a language they understand. Don’t make sudden movements or sounds, and don’t try to chase them. Instead, use canine calming signals to show the dog you’re a friend. Calming signals are specific behaviors dogs use to tell other dogs that they come in peace. When approaching a dog you don’t know, avoid looking directly at them. Walk toward them at an angle instead of head on, and take slow, deliberate steps. Eye contact and walking directly toward them will be viewed as a threat. Once the dog is safely restrained, you can wait for animal control to arrive, drive the dog to the shelter yourself, or try and find their family. If the dog is injured, you need to let the shelter care for them or be prepared to take them to a vet and pay the bill. Reuniting lost dogs with their owners is part of what animal shelters do, but if you feel your local shelter or rescue is overcrowded, under resourced, or simply not a good place for your new acquaintance to be, keeping them temporarily is a viable option. Ultimately, you want to make the decision that gives the dog the best chance at a good future. Many dogs are reunited with their families through these reports. Some shelters allow you to file over the phone, but you might be required to bring the dog in to have its picture taken. If you’re taking the dog to a shelter, the staff can use a special device to scan for an identification microchip. Besides shelters, you can also take the dog to a veterinarian to be scanned. If a chip is found, you can use the information to call the owners. Be aware, however, the information on the chip might not be useful. Even responsible dog owners forget to update the chip information when they move or get a new phone number. If you decide the best thing for the dog is to leave them at the shelter, you can rest assured knowing the shelter staff will do everything in the dog’s best interest. If you decide to bring the dog home, on the other hand, it’s up to you to do everything possible to find out if they have a family out looking for them. No matter how cute they are, remember they’re not yours to keep—at least not right away. It’s your responsibility to make an effort at finding their family. Imagine it was your dog someone found. You’d want them to do everything possible to find you. 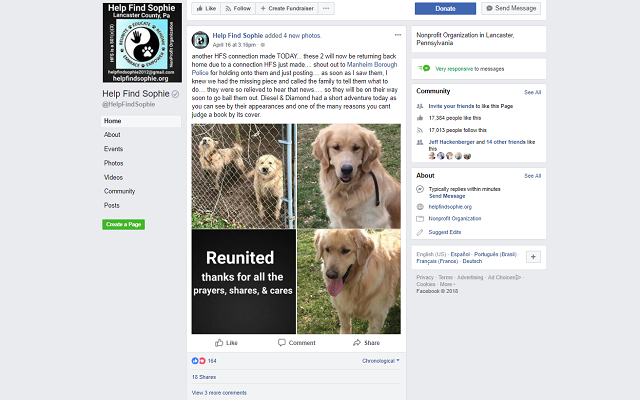 Most areas have Facebook pages made specifically for reuniting families with lost dogs. Try searching a town name with the words “pet lost and found” attached. If that’s a dead end, any kind of locally-based page is a good place to post. If the site has rules about what can be posted, you can still reach out to members to ask about pet-specific pages you don’t know about. Even posting and tweeting on your personal pages is a good way to get the word out. A simple flier posted around the area where you found the dog will efficiently spread the word. Include a picture of the dog and your contact information. Dog owners almost always pay attention to fliers about found and lost pets. Even if the dog’s family doesn’t see a flier, their neighbor or friend might. 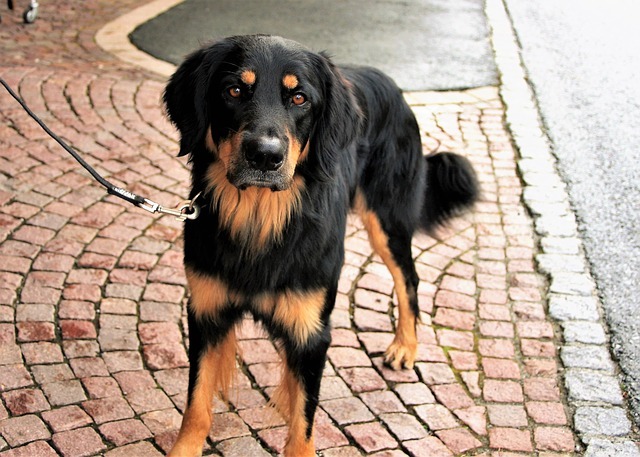 With the right strategy and a little luck, you’ll hopefully attract the right kind of attention and reunite the dog with their loving family. If the days pass and your furry visitor is still around, you’re once again faced with options. Finders aren’t always keepers when it comes to stray pets. 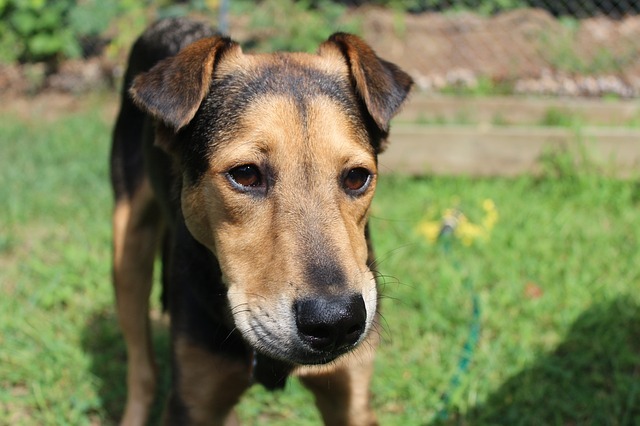 You’ll need to check with your local shelter about laws pertaining to unclaimed dogs. There’s usually a minimum number of days a dog needs to be held before being available for adoption. If that time has passed and you’ve done everything possible to find their family, the dog will be made available for adoption at the shelter. Whether you decide to adopt them yourself or not, you can feel good knowing you played a part in saving an innocent life.